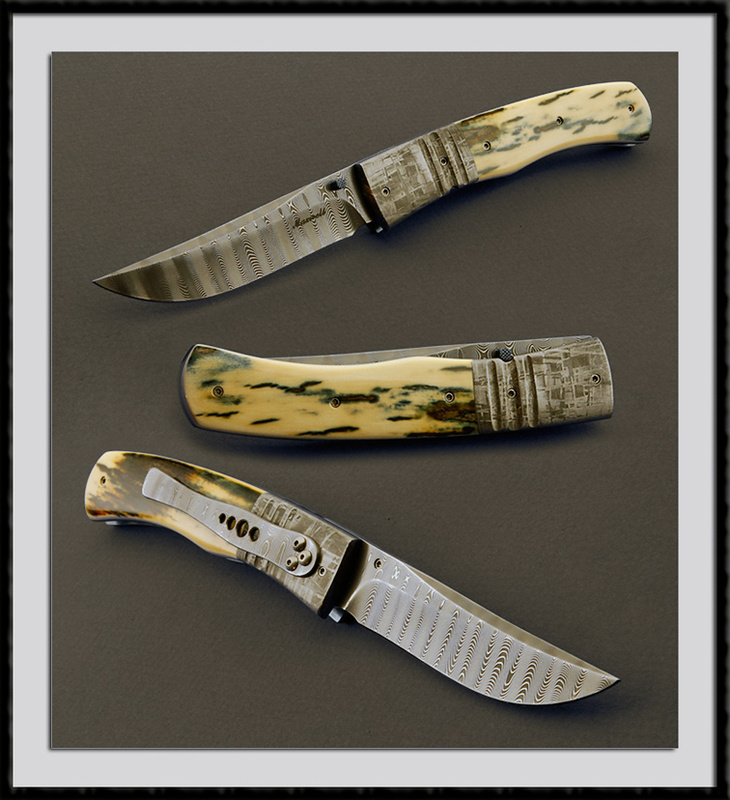 Don Maxwell crafted this Liner Lock Folder, BL = 3 1/4”, OAL = 7 5/8", CL = 4 1/4", High Nickel Damascus Blade, Meteorite Damascus Bolsters, Ti Liners with Blue Mastodon scales. Fit and Finish are Top shelf. Condition is Mint.